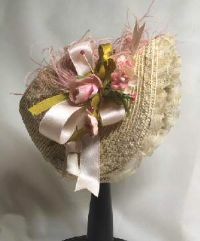 Hats and supplies to make your doll a real darling!! 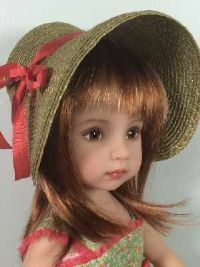 Example of a Dianna Effner Little Darling Doll modeling hat 075. 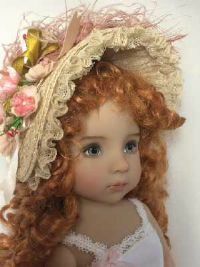 This hat fits a child doll with a head circumference of approximatley 7 1/4 inches. 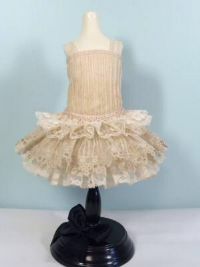 This is one of our NEWSEST designs with Little Darling dolls in mind. Requires 12 yards of 1/4 inch braid, sold separately or as part of a kit. 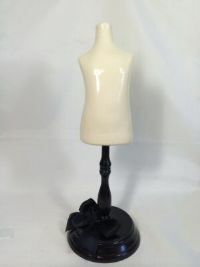 Handmade by LD artist Nelly Valentino.